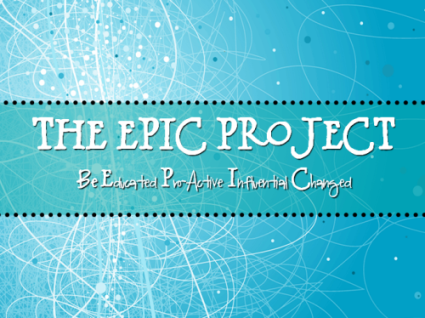 The EPIC Project is a multilevel, structured sexual violence prevention series geared at empowering students to become agents of change. Students are challenged to “Be EPIC” or in other words to Be Educated, Pro-Active, Influential and Changed when faced with the issues of bullying, sexual harassment and sexual assault. Throughout The EPIC Project middle school and high school students will be encouraged to consider the key components of Primary Prevention Theory through activities, group discussion and other means of interactive learning. By the end of the EPIC Project students will have been introduced to the key concepts of respect and equality. Additionally, students will learn practical skills, such as bystander intervention techniques, to decrease exposure to bullying, sexual harassment and sexual assault, thus developing healthy, abuse-free relationships and communities. Level #1: This level is offered as a one-time presentation. Level #2: This level consists 2 options – A 2 presentation set or a 4 presentation set. These sessions can be offered throughout the school year or consecutively based on availability. These presentations are offered to a single classroom of students at a time. Level #3: This level consists of multiple sessions typically offered over a 6 -10 week period. Level 3 is offered in a small group atmosphere to a select group of approximately 8-15 students, depending on the age. We understand that our education topics cover very sensitive subjects. The Turning Point Education Team takes this very seriously and we have placed a high value on tailoring topics according to the developmental stages of the target audience. Each level is structured and developed to cover the topics of bullying, sexual harassment and sexual assault in an age-appropriate manner. What is it? What different forms does it take? Why do people bully others? How does harassment affect others? What should I do if this is happening to me? Reporting & Supporting: What can I do if this is happening to a friend? What does the law say about this issue? Be Pro-Active: What can I do to keep this problem from growing. What are gender stereotypes and how do these contribute to the problem? Be Influential: Understanding if I have a role in helping others. What should I do to prepare myself to help? At what point can I step in? What does it mean to be a bystander?